** In all voting centers where voting will be conducted in the upper storeys of multi-level buildings, an emergency APP (EAPP) shall be set-up at the ground level of the said voting center exclusively for all PWD and SC voters, whether or not they have signified their intention to vote in an APP or not. ** If there are no available rooms at the ground floor of the multi-storey building, the EO shall set up a makeshift tent to be used as EAPP. ** The EAPP should be strategically located near the entrance of the voting center, with sufficient signages, ample space and waiting areas, appropriately sized tables or seats with desks, and situated near the medical or legal help desks, if any. ** For this purpose, the EBAD shall immediately identify multi-level voting centers required to set up an EAPP and coordinate the same with the EO concerned. ** Funds needed for the establishment of makeshift EAPPs shall be charged to the Commission. The Voting Center Supervisor shall appoint three (3) support staff for every voting center where an EAPP will be set-up in accordance with the previous section. The EAPP support staff shall have all the qualifications and none of the disqualifications of support staff as provided in COMELEC Resolution No. 10031, and in addition, must have undergone a PWD sensitivity training. The EAPP support staff shall enjoy the same emoluments as other support staff members as provided in the said resolution. Where available, only PWD and SC voters (including heavily pregnant women) have the sole prerogative to vote in an EAPP or to continue voting in their respective polling places. In case the former is chosen, the EAPP support staff shall explain in clear and understandable terms to the PWD or SC voter the procedure that will be followed, including the fact that the PWD or SC voter will not be able to personally insert his or her ballot into the VCM or read the corresponding voter receipt that will be issued. ** Upon arrival of the PWD or SC voter, the EAPP support staff shall explain the option available to the PWD or SC voter as provided in the immediately preceding paragraph. ** In case the PWD or SC voter opts to vote in an EAPP, the EAPP support staff shall request for the PWD or SC voter’s ID, if available, and assist him or her in identifying the PWD or SC voter’s polling place, if not yet knovvn. ** Once the polling place is identified, the EAPP support staff shall request the PWD or SC voter to accomplish an Authorization/Waiver form (Annex “A”). ** The EAPP shall explain the contents of the said athorization/waiver. ** Thereafter, the EAPP support staff shall proceed to the pertinent polling place to pick-up the ballot for the PWD or SC voter. For this purpose, the EAPP support staff may opt to wait to accumulate the ballot pick-up requests; Provided that PWD and SC voters will not be required to wait for an unreasonably long time; Provided, further, that the EAPP support staff will not accumulate more than ten (10) ballot requests at any given time; and Provided, finally, that at no point shall the EAPP be left without any support staff manning the EAPP at any given time. ** Upon reaching the pertinent polling place, the EAPP support staff shall handover the Authorization\Waiver to the BEI Chairman, who shall immediately check its authenticity by comparing the signature of the PWD or SC voter to the EDCVL. ** For this purpose, the BEI members shall prioritize all ballot requests from the EAPP over regular voters. ** Once authenticated, the BEI Chairman shall note in the Minutes the authorization/waiver. ** After the ballot has been prepared, it shall then be placed in an envelope and handedover to the EAPP support staff. ** The BEI Chairman may write the precinct number outside the envelope to prevent mix-up of the ballots. ** If for any reason, the BEI cannot issue a ballot to the PWD or SC voter concerned, the BEI poll clerk or third member shall go down to the EAPP to explain the situation to the PWD or SC voter. ** The procedure specified in this sub-section shall be repeated for all polling places in case the EAP support staff is carrying several authorization/waivers from different PWD and SC voters. ** Once the ballot has been obtained, the EAPP support staff shall give the envelope containing the ballot to the other support staff who remained at the APP. ** The latter shall then open the envelope and inspect the same to ensure that no ballot has been filled-up, marked, mutilated, or rendered unusable, before distributing the ballots to the corresponding PWD or SC voter. ** In case any ballot has been filled-up, marked, mutilated or rendered unusable, such fact shall be noted by the EAPP support staff who discovered the same. ** Once the PWD or SC voter receives the ballot, he or she, or when applicable, his or her assistor, shall fill up the same in accordance with law. 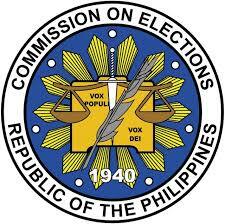 ** The right to ballot secrecy of the PWD or SC voter shall be observed at all times. ** Thereafter, the PWD or SC voter shall hand the accomplished ballot to the remaining EAPP support staff who shall insert the same in a marked envelope corresponding to each polling place where the ballot is to be subsequently delivered. ** The EAPP support staff shall ensure that the ballots are kept safe and protected from third parties until these are delivered to the pertinent BEIs after the close of the EAPPs. ** Once inserted into the corresponding envelope, the EAPP support staff shall apply indelible ink on the right forefinger nail of the PWD or SC voter, or if there be none, to any other nail or suitable body part. ** Voting in EAPP is by PWD and SC voters shall be allowed only until four o’clock in the afternoon (4:00p.m.). ** PWD and SC voters already present in the EA PP before the close of the said voting hour shall be reasonably accommodated. ** Once the EAPP is closed, the EAPP support staff shall deliver the accomplished ballots to each of the polling places where there are PWD and SC voters who voted in EAPPs, and turnover the same to the BEI Chairperson. ** The BEI Chairperson shall then compare the number of ballots received from the BEI support staff with the number of authorizations/waivers from PWD and SC voters. ** If there is any discrepancy, the BEI Chairperson shall note the same in the Minutes. ** Thereafter, the BEI Chairperson shall immediately feed the accomplished ballots one after another into the VCM. ** For every ballot cast, the BEI Chairperson shall remove the voter’s receipt in such a way that he or she does not see the results, fold and drop the voter’s receipt inside the receptacle provided therefor. ** In case the ballot is rejected by the VCM, the same shall be handled in the same way as other rejected ballots. All other procedures provided under Resolution No. 10057 or the General Instructions for BEI, as amended, not otherwise covered by this rule shall remain in force and shall apply suppletorily to this resolution. Any previous resolutions inconsistent herewith is hereby repealed. If any section or portion of this resolution is declared illegal or unconstitutional, the remaining provisions shall remain valid. Why is it that my request for transfer of my registration from Barangay Lika to Barangay Katipunan, M’lang was denied by our local COMELEC Office here in our municipality. Is there any issuance of COMELEC Memorandum to this effect? Please reply immediately. I need your explanation otherwise I will file a complaint to the Office of the President. Because I believe that this violate my right of suffrage. Why until my voters Id did not print? Almost 3 years I did not received my Voters ID.